Back in ’82 the running world was awash with colour, shoes bursting with neon tones filled the market in the hope of attracting the best athletes. 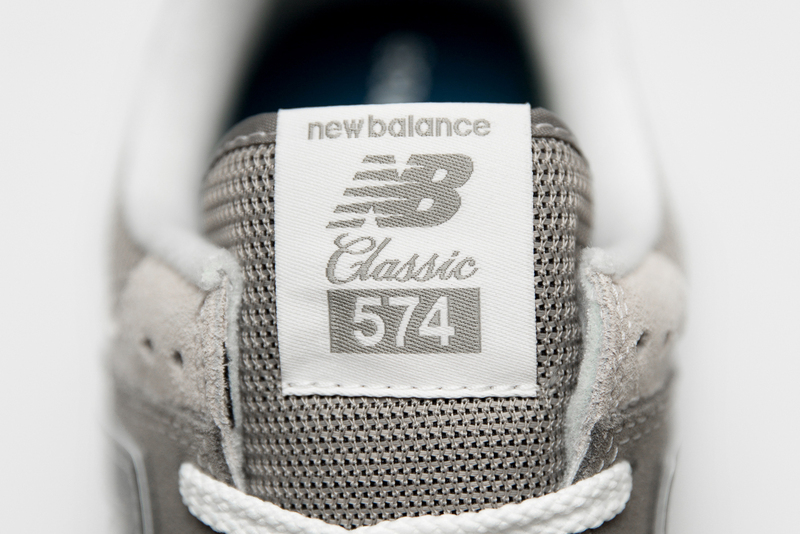 New Balance shrewdly presented an alternative – the 574. 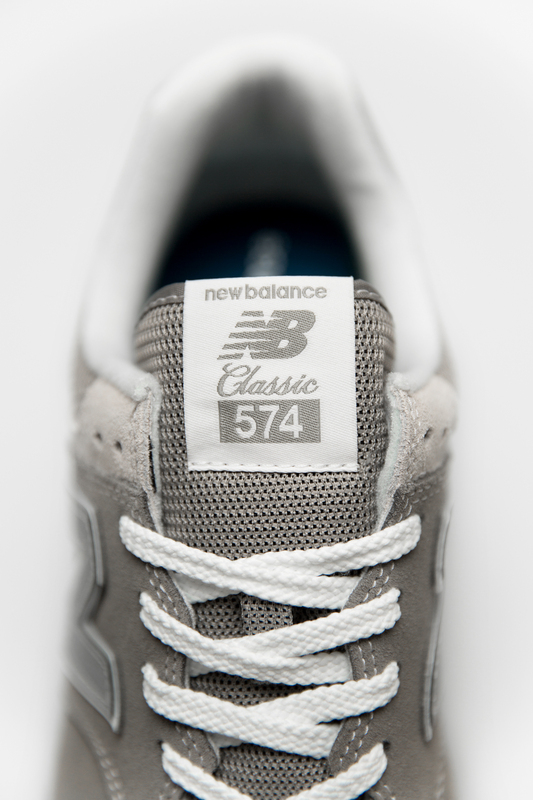 Introduced as the first $100 running shoe, the 574 was arguably one of the most versatile sneakers of it’s time. 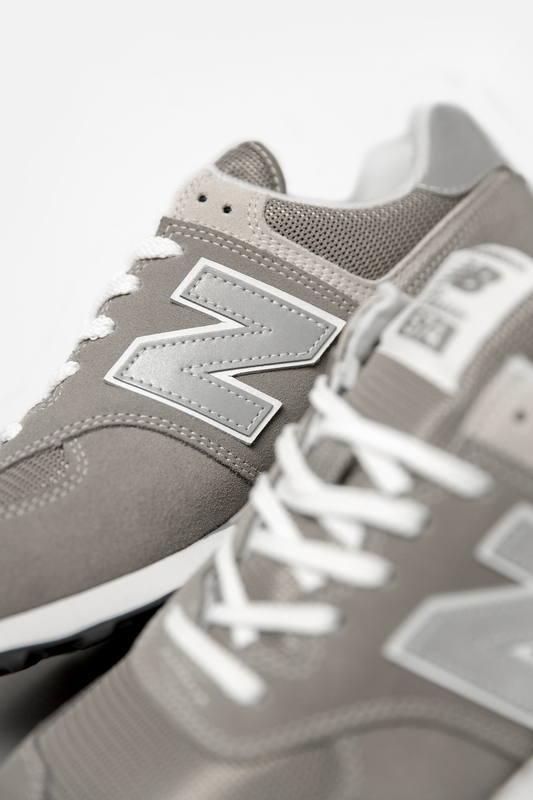 Adopted by the running world and fashion savvy alike, New Balance relied on the sneaker’s high performance and premier tooling to attract the attention of the global running scene, whilst the traditionally monotone colour scheme gripped those who preferred a simpler aesthetic. 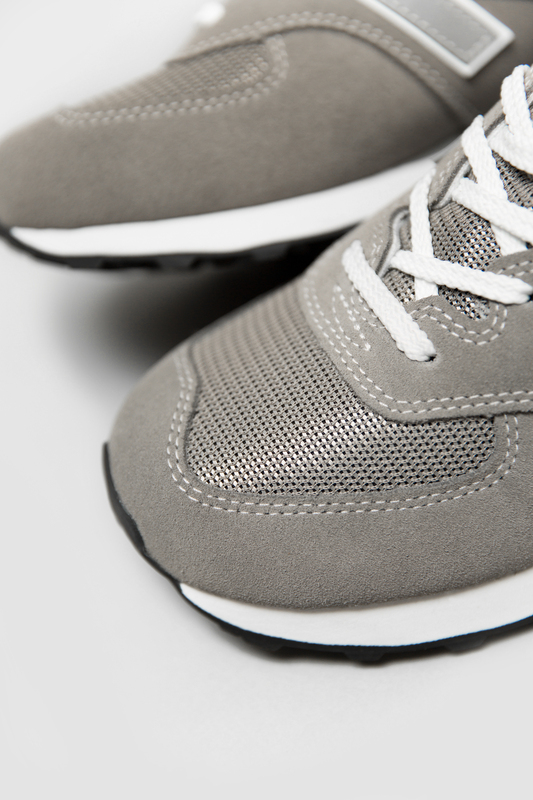 Honouring the brand’s legacy, the shoe is reproduced in an iconic ‘Grey Day’ colourway. 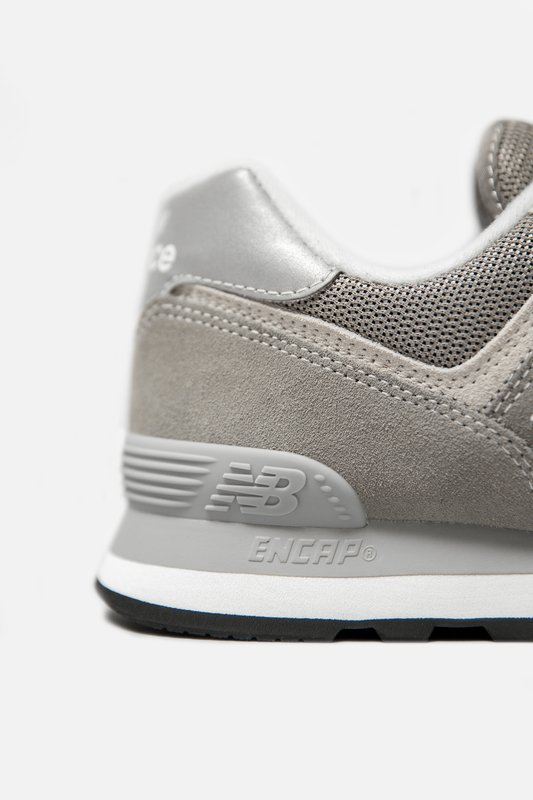 The shoe’s timeless two-tone mesh and suede panelled upper is left untouched, whilst the ENCAP cushioned sole unit and signature ‘N’ emblem and remain are seen in a contrasting off white to finish things off. 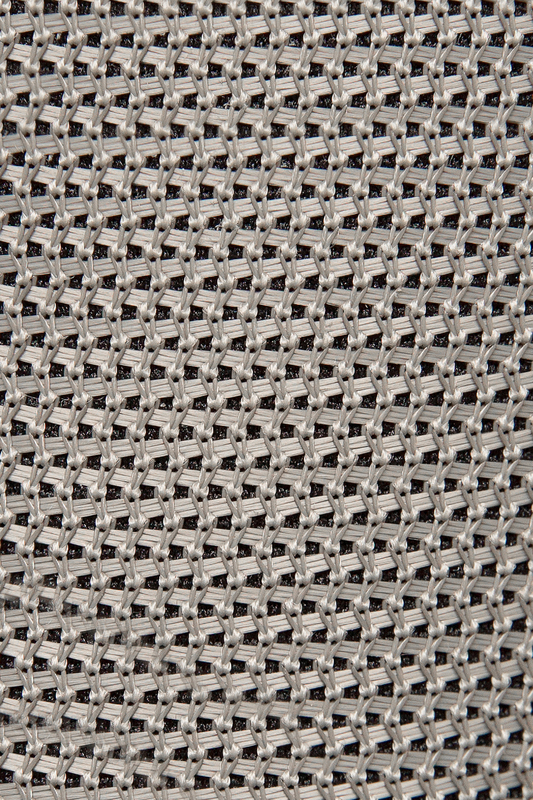 Reflective hits on the sidewall branding and heel panel ensured you were safe to head out running at any time of day. 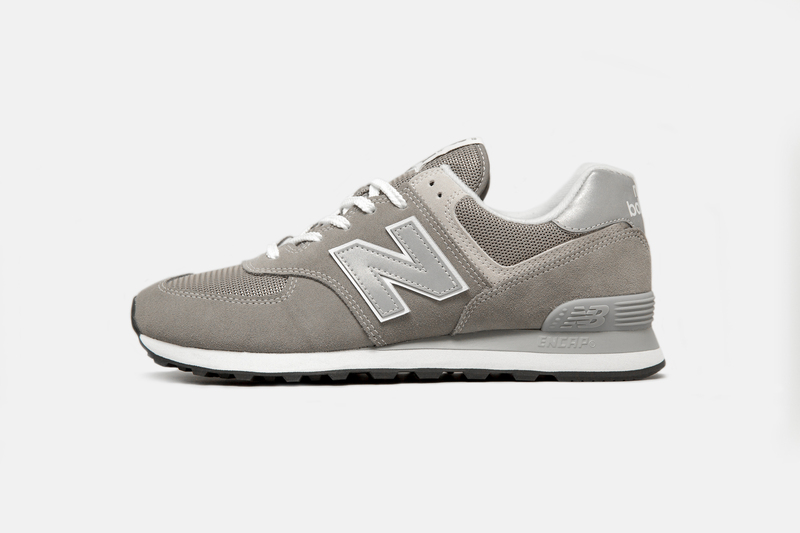 The New Balance 574 will be available in UK sizes 4-11 from 08:00 on 15th March 2018 online and in selected size? stores, priced at £70.